This book recounts the remarkable history of efforts by significant medieval thinkers to accommodate the ontology of the Trinity within the framework of Aristotelian logic and ontology. These efforts were remarkable because they pushed creatively beyond the boundaries of existing thought while trying to strike a balance between the Church's traditional teachings and theoretical rigor in a context of institutional politics. In some cases, good theology, good philosophy, and good politics turned out to be three different things. The principal thinkers discussed are Augustine, Boethius, Abelard, Gilbert of Poitiers, Bonaventure, Aquinas, Scotus, and Ockham. The aspects of Trinitarian doctrine dealt with are primarily internal ontological questions about the Trinity. The approach draws on history of theology and philosophy, as well as on the modern formal disciplines of set-theoretic semantics and formal ontology. Augustine inaugurated the project of constructing models of the Trinity in language drawn from Platonic and Aristotelian philosophy, especially the conceptual framework of Aristotle's Categories. He used the Aristotelian notions of substance and relation to set up a model whose aim was not so much to demystify the Trinity as to demonstrate the logical consistency of maintaining that there is one and only one God at the same time as maintaining that there are three distinct persons, each of whom is God. Standing against this tradition are various heretical accounts of the Trinity. The book also analyzes these traditions, using the same techniques. All these accounts of the Trinity are evaluated relative to the three constraints under which they were formed, bearing in mind that the constraints on philosophical theorizing are not limited to internal consistency but also take note of explanatory power. 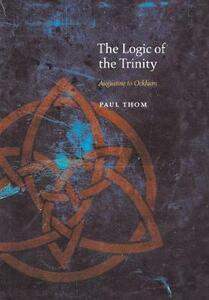 Besides analyzing and evaluating individual accounts of the Trinity, the book provides a novel framework within which different theories can be compared.